Agilent Technologies said it has agreed to acquire the remaining shares of Lasergen for $105 million, two years after taking a 48% stake in the developer of DNA sequencing technologies. Agilent shelled out $80 million in March 2016 for its minority stake in Lasergen, which included a two-year “call” option to acquire the remaining shares by March 2 of this year. Agilent disclosed that it exercised that option on February 23, in its Form 10-Q quarterly regulatory filing for the company’s first fiscal quarter, filed March 6. 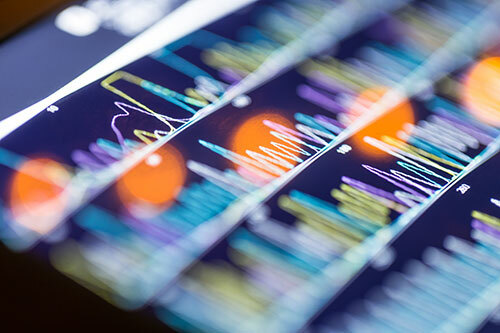 The companies have collaborated on building a next-generation sequencing (NGS) workflow for clinical applications, with sequencing technology based on Lasergen’s Lightning Terminators chemistry. According to Lasergen, Lightning Terminators provides unique photocleavable terminator chemistry with faster reaction kinetics and robust cleavage properties, enabling potentially faster, more accurate, and less expensive genome sequencing than other technologies currently on the market. Founded in 2002, Lasergen is based in Houston, with an additional office in San Diego, and has 45 employees. Agilent is headquartered in Santa Clara, CA, and finished its previous fiscal year ending October 31, 2017, with revenues of $4.47 billion and 14,200 employees worldwide. “The decision to acquire the remaining shares of Lasergen demonstrates our commitment to the team and technology, and our strategic intent to build a complete, routine, clinical NGS workflow,” added Kamni Vijay, Ph.D., vice president and general manager of Agilent’s Genomics division. The deal is subject to customary closing conditions and regulatory approval. By combining Lasergen’s NGS chemistry with Agilent’s expertise in target enrichment, clinical interpretation support software, and automation and microfluidics technologies, the deal is designed to bolster Agilent’s presence in the global molecular diagnostics market. That market, according to a report by marketsandmarkets.com, is projected to expand from $6.54 billion in 2016 to $10.12 billion by 2021, based on a compound annual growth rate (CAGR) of 9.1%.